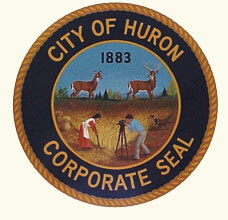 The City of Huron offers curbside collection of comingled recyclables. A separate recyclable container (blue with a yellow lid) has been issued to households that participate. The recycling containers will be picked up by the city each week on the same day that garbage is collected in that neighborhood. The Recycling Guide provides information about what may be recycled. Click Here for more information about Huron’s comingled household recyclable collection program. Stockwell Engineers, Inc. was hired by the City to complete a study on the 3rd Street Dam and the hazards associated with it. To reduce ecological impacts and provide an economically feasible project, it was decided that the dam stay in place and undergo a retrofit to improve safety concerns surrounding the dam. Click Here for further details.